In fact, many organizations have already been hacked and don’t even realize it yet. Information security represents some of the largest risks and compliance activities to most organizations, and yet is often ignored because the business impact can be difficult to quantify. 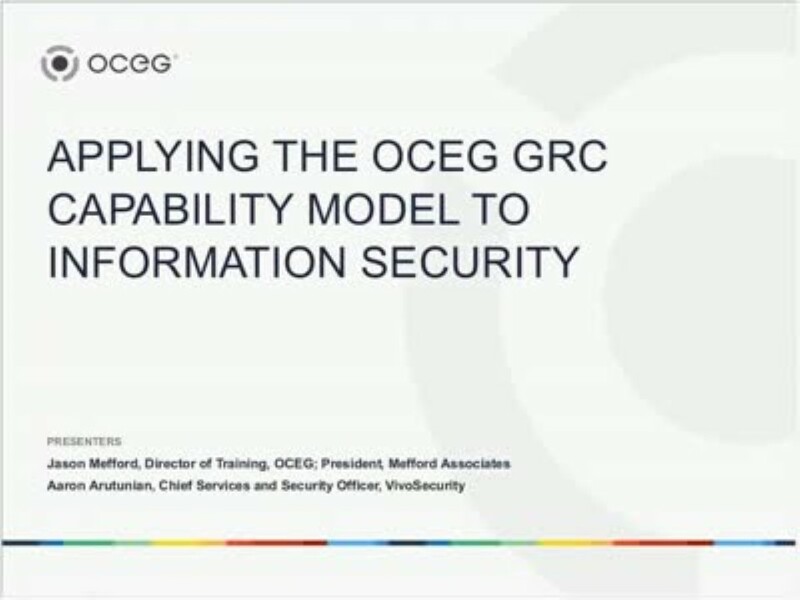 We have emailed instructions to access Applying the OCEG GRC Capability Model to Information Security to . Make sure the email arrives in your inbox: either add "support@oceg.org" as a safe sender to your email platform, or if you use Gmail, drag our email into your Primary tab.